Usage/Application: garden , vegitation , cattle feed . This Tray is perfect for decorating with an 8"x8" tile! This 8" Square Tray, hand crafted in eco-friendly pine based MDF, is sanded to a smooth finish and can also be used for decoupage, painting and mosaics. 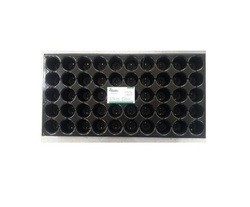 Superior quality of Seedling Trays can be availed from us at cost effective prices. 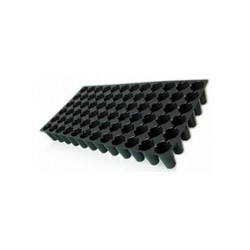 These trays are available up to 98 cavities, which is suitable for various agricultural uses. Small and mid-sized plants like roses, rosemary and other fruit plants can be propagated in these trays. Furthermore, these trays are light weight and highly durable. We are supplier of Nursery Pro Trays, Seedling Trays, agricultural tray , gardenning tray, plant tray, herbs tray, chennai , hosur, coimbatore, madurai, thanjavur.pondicheery. - Strong and best quality. - Virgin and having uv stabilized material. - Available in different sizes. For growing sugarcane, cotton, tur, watermelon, papaya, drumsticks(moringa) seedlings. We deal in Paddy Tray. Capitalizing on the advance technology, our team is engaged in offering best quality of Pro Tray. The offered product is manufactured using most sophisticated machines and superior quality of material. After manufacturing, these Pro Trays are inspected on several quality parameters prior to dispatch. Our provided range of product is available in different specifications. Owing to our rich industry experience, we are supplying, wholesaling, trading Paddy Trays.